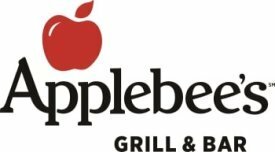 If you love Applebee's, then you will love these Weight Watchers points. This popular restaurant has so many menu selections that you will want to look up your points first before eating out at this hot spot. You will find the new SmartPoints, points plus and the original points values. These are shown in the table below in order from newest (first) to oldest WW plans. So if you are a Weight Watchers member, be sure to grab the values that match the plan you are currently following. If you are not a member, you too can lose weight while eating out. You can track calories, carbohydrates, total fat and more. Knowing the nutritional values for the foods you eat will help you reach your weight loss goals. So visit this page, get the family ready and go out to eat knowing you can stay within your allowance for your weight loss plan. Walking is a great way to relieve stress, burn calories and feel great. Check out these tips on walking for women. Use these methods to boost your metabolism naturally so you can burn more calories and lose weight. Check out these foods that are known to help boost your fat burning process. Add them to your next meal or recipe.